When writing your poll question, these are the common mistakes you should avoid to get quality and unbiased responses. Your question may include a positive or negative bias — words that consciously or unconsciously lead the respondents toward a certain kind of answer. Avoid leading words that may sway the responses positively or negatively. Phrase your question objectively. How to fix it: On a scale of 1-5, with 1 being the worst and 5 being the best, please rate this YouTube video. How to fix it: Please rate your level of agreement with this government policy. How to fix it: Do you think children’s vaccinations should be required? Ensure your questions are fact-based, not opinion-based. Do not make assumptions about your audience. How to fix it: What color do you like the best? How to fix it: How do you feel about smoking indoors? How to fix it: What do you like to do in the evenings? Test only one thing at a time. Do not use double-barreled questions because respondents will often only concentrate on the one topic that means the most to them. When creating comparisons between two creative options, include only one test parameter per question, such as layout, title, or color palette. Note: Consistency is key in testing creative options. 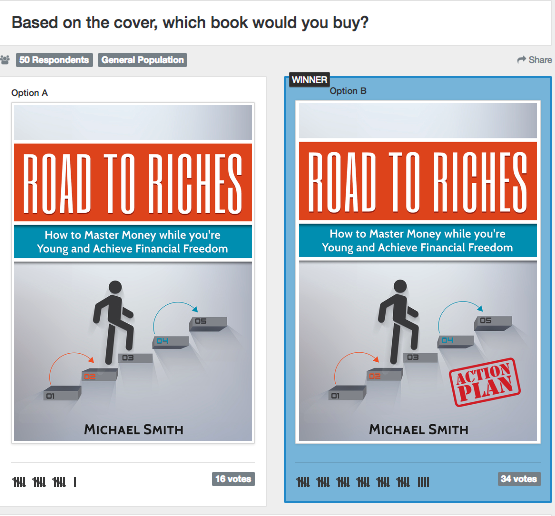 If you’re testing book covers, make sure that each design option includes the same information. 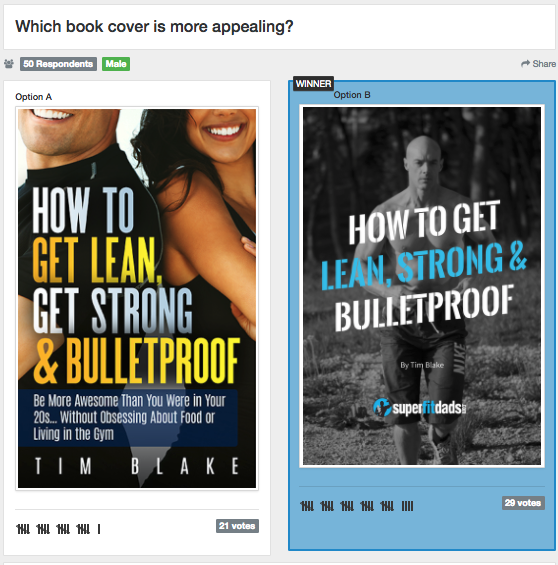 If you tested two cover designs and each cover had a different title, for example, you wouldn’t know whether respondents preferred the design layout or the title on that design layout. Remember, only test one thing at a time. You may need to experiment with the level of specificity in your question. Generally, the simplest form of the question will be the least biased. However, there are instances where you will need to direct the question a certain way rather than leave it open-ended. Just be sure to avoid the three common mistakes listed above.